Back for the second straight year, Complete Athlete Development Camp (C.A.D.C.) mixes a traditional summer camp agenda with a unique, athletic-based training model. Whether your athlete is a recreational warrior or rising star, our team of qualified, motivated, and enjoyable professionals have a plan to usher in a new set of standards, geared towards meeting the demands of what is required to succeed as a youth student athlete in today’s changing world. 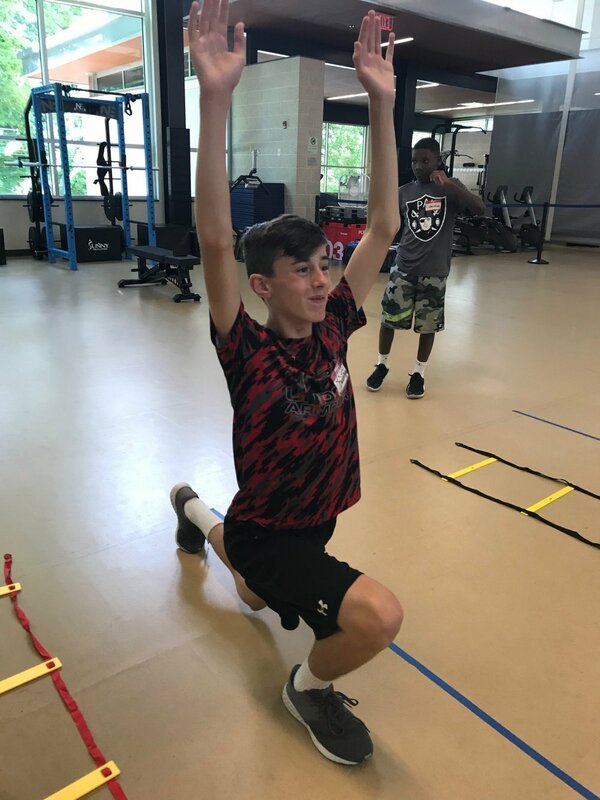 On top of the athletic learning experience, your athlete will also learn important life skills, including how to build and develop a healthier lifestyle for a lifetime to come. There is no ceiling on the opportunities presented in C.A.D.C.. So, have your athlete come prepared, focused, and ready to have a fun time! C.A.D.C. Featured on WCCB CLT Rising! WCCB Charlotte Rising with C.A.D.C. Director and NEP Owner, Daniel Riggi. Each athlete will participate in a daily dynamic warm-up, strength and conditioning, speed agility, and quickness, and recovery program. Each athlete will be monitored by a certified specialist to ensure proper form and technique are being utilized. Exercise selection will be adjusted to the athlete's training level. Each athlete will gather together for a daily "chalk talk" to discuss different topics in relation to the athlete's individual development. Topics of these discussions will vary day-to-day and week-to-week and may include special guest speakers. Please see the camp schedule for a list of specific camp topics. Each participating athlete, accompanied by two chosen guests, will have access to either an end-camp, 90 minute nutrition workshop titled, "Fueling Your Athlete". Educational handouts and a healthy lunch will be provided. This seminar will be taught by a Registered Dietitian (RD). THANK YOU TO ALL OF OUR C.A.D.C. 2018 PARTICIPANTS! WE HOPE THAT YOU ENJOYED YOUR EXPERIENCE AND LOOK FORWARD TO SEEING YOU ALL AGAIN NEXT SUMMER!